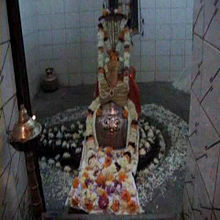 It is a famous temple in Dhopeshwar village in Rajapur taluka. 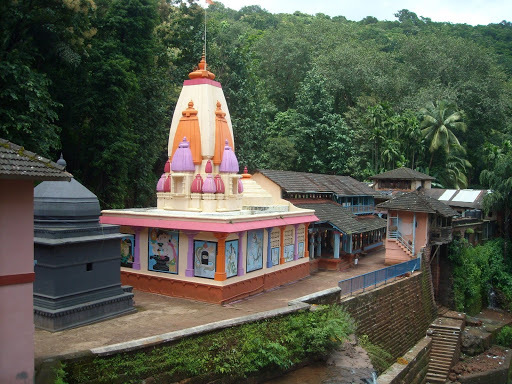 This village is situated 5 k.m. Away from Rajapur city. 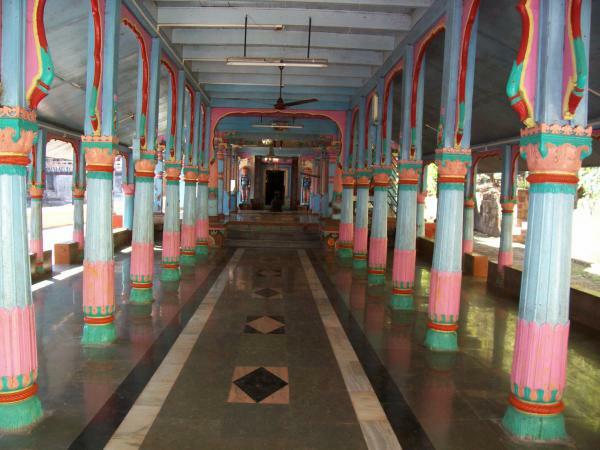 You would always find devotees rushing here. It is on the bank of Mrudani River. It's an ancient temple. Natural beauty around it is extraordinary. 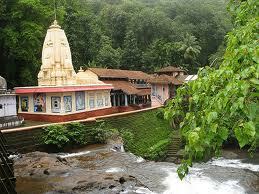 At the both sides of the temple there are huge mountains and a river flows through it making it more beautiful. 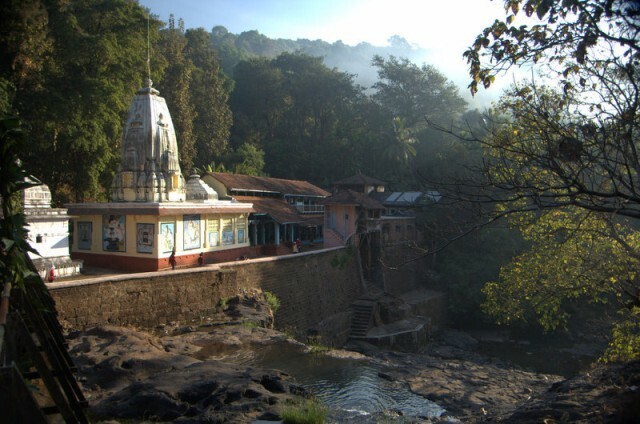 The Mrudani River jumps from the high mountain so there is a beautiful waterfall near the temple. Some tourists come to see the waterfall. The best period to watch this waterfall is between July to November. During the period there is plenty of water. 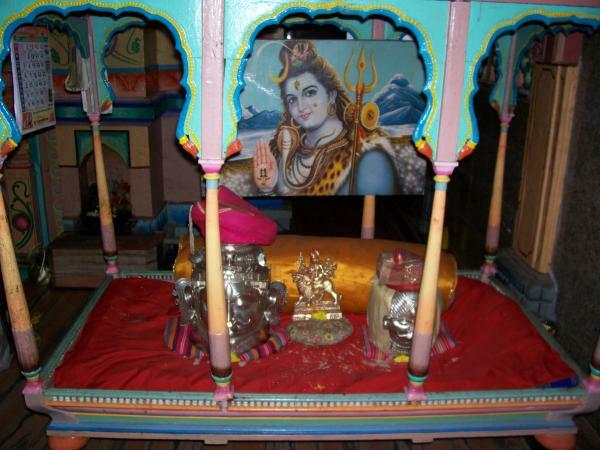 There is huge crowd on Mondays and Mahashivaratri. Hotels are available in Rajapur city. 5 k.m. from Rajapur city. Many private vehicles and auto are available from Rajapur. Rajapur is the nearest rail head. 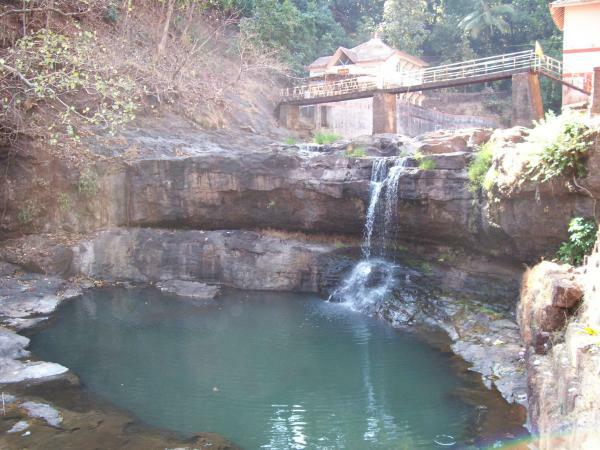 Yashwantgad : This is one more attractive place in Rajapur area. This fort beckons adventurous youths who loves trekking. Tourists must visit this place during Rajapur trip. One of the specialty of this fort is space. It is spread in 1200 sq. mt. Fortification is one more special thing of this fort. It is hefty still today. There are 17 bastions and they are also in good condition. Tourists can experiences pleasant breeze and forget all exertion.